Just like the regular Herrenweg vines, the very old vines suffered from a difficult flowering and the yields were even lower. Both wines have a similar analysis, and one could wonder why these two wines were not assembled together. 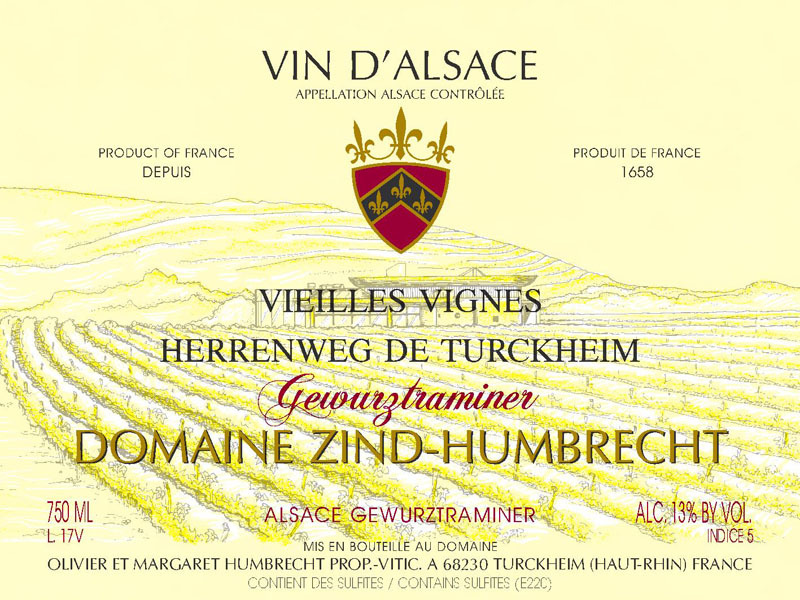 The Herrenweg is a valley floor vineyard, on a poor gravely/sandy soil whose main default is a lower mineral content, because water can drain them quickly. To express some complexity and find a more regular nutrition, the roots have to penetrate deeper, but these soils are usually quite compact and it is actually very difficult for the roots to explore the soil deeper. Proper farming will allow to preserve the minerals and bring them back closer to the surface (allowing plants to grow through the year), but nothing will replace the effect of an older vineyard. The 2010 is a rich wine that kept a balance which is close to a late harvest style. 3/2012: the influence of the old vines shows on the nose and palate. There are much less floral expression here and more complex spicy ripe fruits aromas. The palate has a great structure. Of course, the mouth-feel is rich and dense, but with this typical Gewurztraminer richness. Here, there is some noble rot influence, as the wine also develops some ‘roti’ character (phenolic) and chocolate aromas.